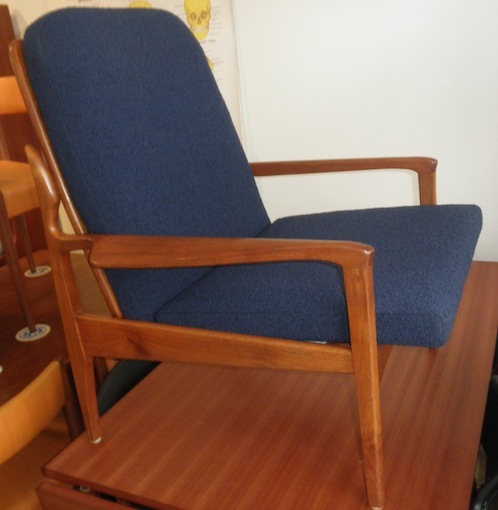 A pair of Fred Lowen Designed Narvik armchairs. 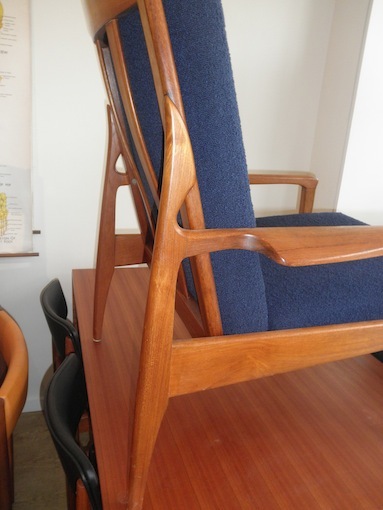 This range of Narvik chairs for Fler was one of the best Danish modern styles of it’s era. The striking frame with subtle details of these chairs make them equal to a lot of Danish design from the same era. This pair of chairs has all the best features of this range, solid teak frames, curved slats at the back, straps that feed through slots in the seat frame. 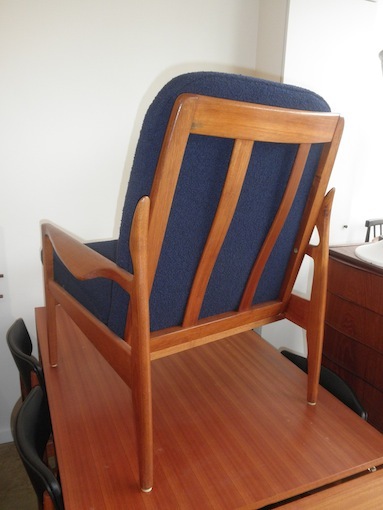 Later versions of these chairs had fabric covers at the back and came in maple or blackwood stained to look like teak. They have been refoamed and recovered in a wool boucle fabric. $575 each sold as a pair.